Deeside Synchronised Skating Club finished off the competitive season in fine style last Sunday with an end of year gala to celebrate an unprecedented level of national and international skating success. The club enjoyed a level of success it’s never seen before with Gold, four Silvers, and three Bronze National Championship Medals as well as being placed 4th three times during a season of stunning success. 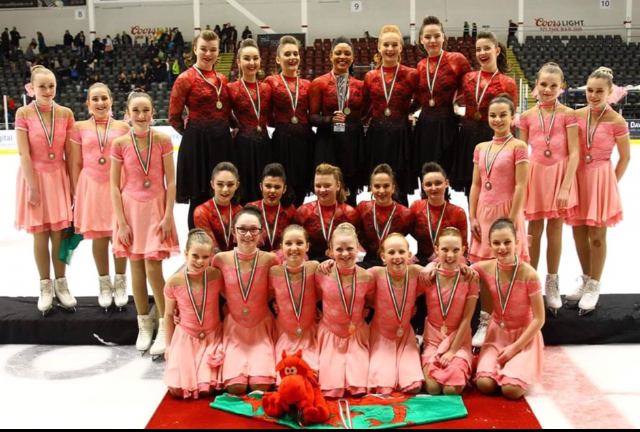 The Deeside Ice Rink based teams competed in competitions across the UK and Europe proving themselves to be a “surprise package” in the International skating competitions. Said Chairperson, Darell Jones. 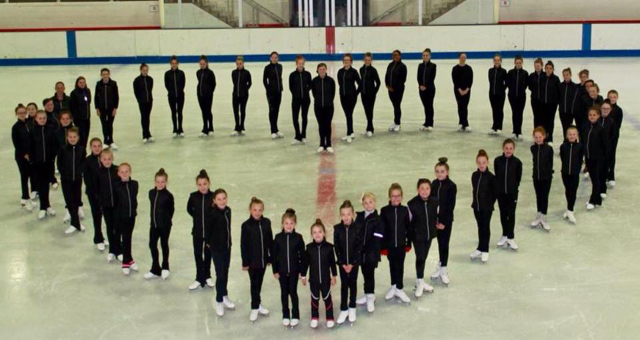 “The club competed in four classes last year, Elementary and Juveniles with the Angels and Preliminary and Mixed Age with the Deelites. This coming season the club are aiming higher by entering the Adult category with the Halos and are hoping to showcase the youngest members from our development team in the Cherubs. The gala allowed the teams and individuals to express their skating styles and gave a display of mesmerising routines with some fantastic individual performances across all our disciplines and members levels and abilities.” Said Darell. Sunday’s end of year gala also raised over £550 for inclusive skating within Deeside which go towards helping those from the local area learn to skate with their families and carers in a supportive environment. Darell Jones said: “I’m encouraged, motivated and extremely proud of the club, it’s achievements and all its members who have worked tirelessly this season with their hard work highlighting just what commitment, dedication and dreams can achieve. Deeside Synchro Club train every Friday at Deeside Leisure 5-7pm; all level 5 skaters and above are welcome from any age as we have teams which currently have boys and girls from the age of 3 all the way to 50 plus!